A lot of our clients spend the winter months dreaming about the perfect inground pool And just like with any financial decision, you will want to do your homework, so that you know the right questions to ask a pool builder before taking the plunge. 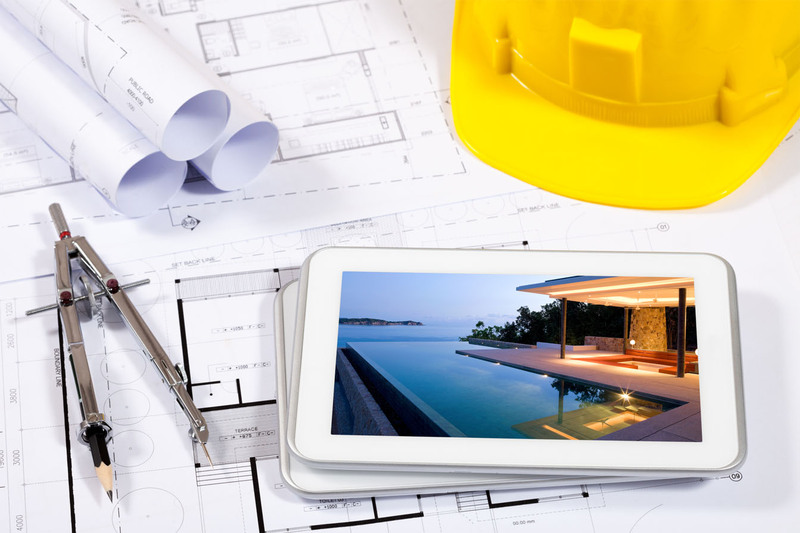 And in reality, you should ask several pool builders the same questions, so you can compare apples to apples before deciding who to hire for your inground pool installation. Ask family, friends and neighbors for recommendations, and check out their websites for information before setting up any estimates. We’ve put together a list of questions that any pool builder should be able to answer easily and honestly. If they don’t have an answer for something, or sound too good to be true, buyer beware. How long have you been in business? The longer the better. It shows they are a reputable pool company that does a good job for their clients. Shady businesses or companies that do shoddy work don’t stick around too long. Are you licensed, bonded and insured? Ask to see proof, and check the state licensing website to confirm they are in good standing. How many pools have you built? If you want a fiberglass pool, ask how many of those they have installed. If you want a concrete pool, ask about those. Same with Infinity pools. What is your workmanship warranty? This is not the same as the manufacturer’s warranty on a fiberglass pool, for instance, but more common for concrete pool installation. Can I get references? Reputable pool builders should be able to give you a long list of references from previous clients. Ask those references what they liked and didn’t like about the pool builder. More importantly, would they hire them again? Are they happy with their pool? What products do you use? Certain brand name fiberglass pools? Pumps and pool supplies from another company? Check out those product websites. How long will it take to install my pool? Answers will vary depending on what type of pool you are getting installed. How much will my pool cost? Again, this varies with what type of inground pool you want, what sorts of extras you want (a spa with a waterfall, pool lighting, tanning deck, water slide, etc.) and if you want the company to install pool decking at the same time. They should also be able to tell you about any payment plan (how much due up front, during, and at the end of construction). If your equipment damages my existing yard and landscaping, will you make repairs? Excavating equipment is heavy, and therefore, can do serious damage. When can you start? 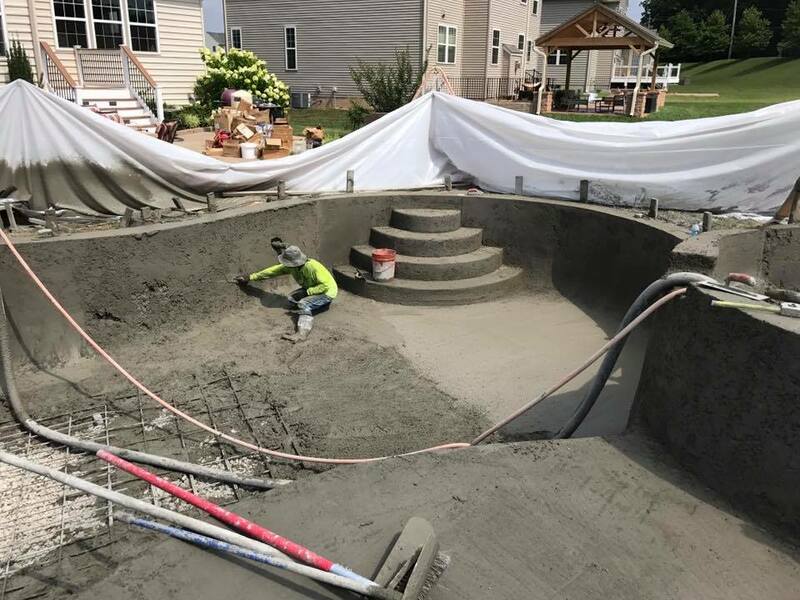 Depending on when you are getting your estimates, they may be able to schedule your inground pool installation fairly quickly. But if it’s already well into spring, for instance, you may have to wait awhile. There are a lot more questions you can ask, but these should get you started as you search for the pool builder you want to work with. Dive in! 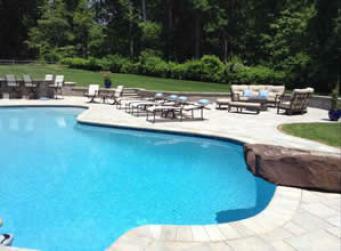 previous post: How Long Does Inground Pool Installation Take?